Vic leads a very hectic life! 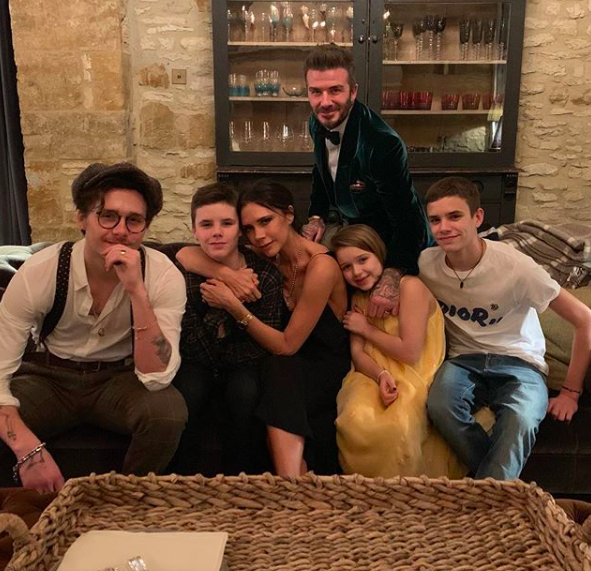 Victoria Beckham might be running a fashion empire, but she still has time to spend with her children. In fact, the 44-year-old seemingly dragged her brood to the office with her yesterday as she headed to her pop up shop in London. 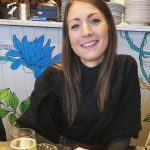 Taking to Instagram, former Spice Girls star Vic can be seen in the dressing room of Selfridges as she stood opposite the mirror. 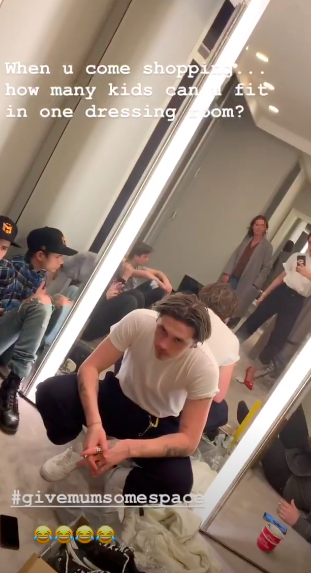 Panning the camera around the room, her children Brooklyn, 20, Romeo, 16, and Cruz, 14, are sitting on the floor with a group of their pals. Despite their mum’s joke, it looks like Victoria’s boys enjoyed their family day out as Romeo and Cruz both shared photos behind the scenes of the pop up shop on their social media accounts. This comes after Vic spent an adorable Mother’s Day with her daughter Harper last weekend. Taking to her Instagram Stories, the fashion designer posted a sweet photo of the seven-year-old horse riding in the sun. Little Harper can be seen sitting on her pet wearing a grey hooded sweatshirt, boots and a helmet. ‘Fun day riding with mummy x,’ Vic captioned the snap. Victoria’s husband David has also been spending some quality time with the kids, as he took son Brooklyn to the London premier for Netflix’s Our Planet on Thursday. The Beckham men looked similar in their immaculate bow ties and matching shiny shoes as they posed proudly for the cameras at the star-studded bash for Sir David Attenborough’s newest nature documentary. Once inside the event, the pair were photographed rubbing shoulders with royalty as they chatted to Prince Charles, 70, and Prince William, 36.